Test your knowledge of “Iron Man 2” behind-the-scenes trivia, inside jokes, casting decisions, locations and how special effects were filmed. 1. Where was Iron Man 2 filmed? More than 98 percent of the movie was filmed in Los Angeles County, California. A couple of quick shots of a Rolls-Royce driving on the Monaco Grand Prix course were filmed on location. No actual scenes were filmed in such places as Russia or New York. Read more about locations here. 2. What about the “Stark Expo”? Wasn’t it supposedly a real place? 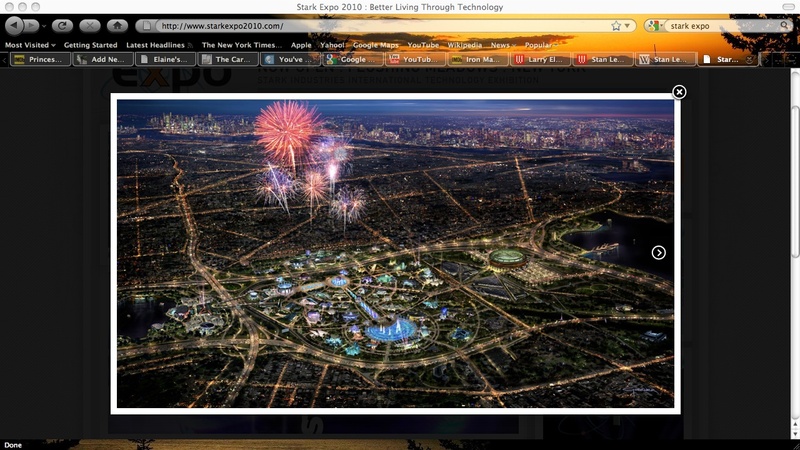 Stark Expo is based on the real Flushing Meadows, New York site of the 1964 World’s Fair. But no filming was done there; the IM2 special effects wizards digitally re-created and enhanced the site (and then digitally blew it up). They also built scale models of it. The main stage in the film is a re-creation of the now-unused New York State Pavilion. Preservationists hope the movie drives momentum for their efforts to renew interest in caring for the site’s decaying fair exhibits. 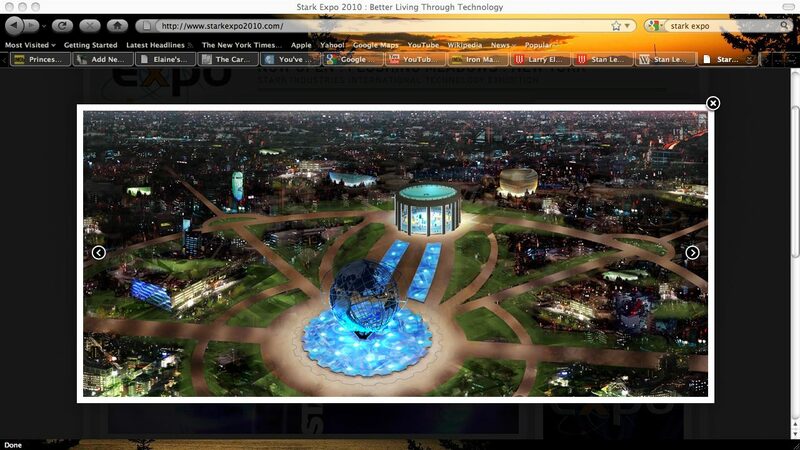 Filmmakers have even created a fake Stark Expo 2010 website, and a real contest, co-sponsored by Audi for a $15,000 innovation prize. 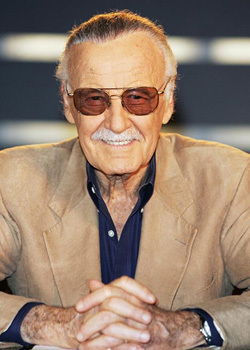 3. Who was the guy who tells the Tony Stark character he has an idea for “an electric jet”? He is Elon Musk, the CEO of Tesla Motors, the electric car company, and SpaceX, which makes private rockets for space travel (Really!). SpaceX was used for one of the movie central locations. Read more about him and why he and his companies are in the film here. 4. Was that really the somewhat reclusive Larry Ellison, the CEO of Oracle (and owner of BMW Oracle, the America’s Cup winning yacht) making a cameo in the film? 5. What other real-life people made IM2 cameo appearances? Others included the late Adam Goldstein, a.k.a. DJ AM (he OD’d in August 2009), newswoman Christiane Amanpour, and conservative commentator Bill O’Reilly. Of course, director (and co-writer) Jon Favreau co-starred as Happy Hogan in the film, and his ’32 Ford street rod shined as Tony Stark’s favorite workshop toy. 6. Wasn’t that Larry King, the talk show host, also making a cameo in IM2? 7. What was the movie’s “Million Dollar stunt”? It was the actual destruction of two $438,000 Rolls-Royce Phantom sedans for a sequence of less than a minute during the Monaco GP scenes. Here’s more detail on how they did it. The scenes where the Rolls-Royce was ripped apart by the villain’s plasma whips was one of the few pieces of mayhem in the film that was not computer-generated. 8. Why was Terrence Howard replaced by Don Cheadle in the Jim Rhodes role? People magazine reported that Howard wanted too much money. There is also the issue of height. Terrence Howard, at 6-foot-0 1/2 towered over 5-9 Robert Downey Jr. Don Cheadle is 5-8 ½. 9. Was Scarlett Johansson the first choice for Black Widow? No, she wasn’t even the second choice. Emily Blunt had the role sewed up. But schedule conflicts with her Fox contract caused her to bow out. Gemma Arterton was considered as a replacement, but ultimately she got the lead on “Prince of Persia: The Sands of Time“. 10. Was Mickey Rourke the first choice for the villain Ivan Vanko? Yes, but his agent was reluctant for him to sign for summer popcorn movie fare, immediately after his Oscar-nominated (Golden Globe-winning) role as Randy “The Ram” Robinson in “The Wrestler”. The agent thought his client should leverage the Oscar nomination for more serious roles. They stalled signing the IM2 contract for months. 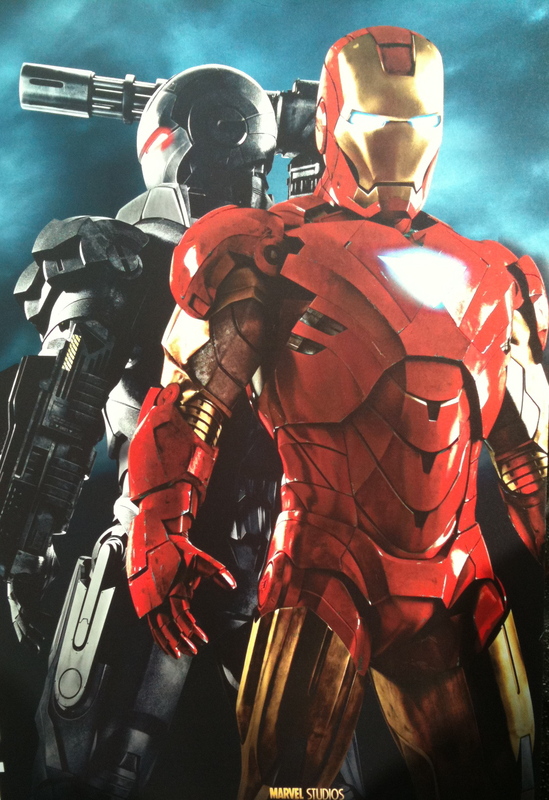 Will there be an “Iron Man 3”? Of course; it is already in development. Expect it in theaters in summer 2012.